A couple of weeks ago, I was lucky enough to be invited along to meet Celia Rees, well known YA author of such fabulous books as Witch Child and Pirates! Now I am a huge fan of Celia's, so I couldn't wait to go and chat with her at Bloomsbury to discuss her new book THIS IS NOT FORGIVENESS. Celia was absolutely lovely and very down to earth, she was happy to chat to us all and answer all our questions about her books. Celia has been writing books for twenty years. She began writing contemporary books for ten years before moving onto historical books for the following ten years. It seemed to evolve naturally to move back into contemporary writing again. Celia told us she likes to write about what she enjoys and doesn't think about whether it will sell or not. Whilst discussing THIS IS NOT FORGIVENESS, Celia told us how the book came about in the first place. 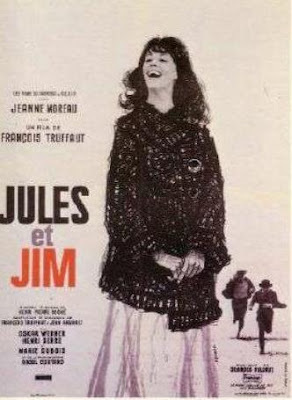 She had been watching the 1962 film Jules et Jim, directed by Francois Truffaut, which was based on Henri -Pierre Roche's semi autobiographical novel about his relationship with writer Franz Hessel and his wife Helen Grund. Celia was taken with the main female character in the film, who was extremely charismatic and free spirited. The original book was set around World War I and Celia felt that she could update the story dealing with the political conflicts that are occurring in the present day. When Celia first began writing the book, she had it based around two friends, but found that the story didn't work, which led her to making the two main characters brothers. When she decided to make the older brother a soldier, the story just opened up. Celia knew that she wanted Caro, the main female character to be different from every other girl. First she gave her an occult background, which she found didn't work. then decided to give her an interest in radical politics. The publishers were not keen on this idea, until the riots occurred in London during the summer of last year. The idea for the book began in a notebook first, Celia told us that she had several handbags with different notebooks in, which she changes on a daily basis. During the planning stage, Celia used spider diagrams of the book, getting all the ideas down on paper. The book was completely written on the computer, as she felt it seemed a waste of time writing it by hand first. Celia only works on one book at a time, as she finds she needs to concentrate on the voice of that book making sure it doesn't sound like any other book she has written. It was really lovely to get the chance to talk to Celia at Bloomsbury. Thanks to Emma Bradshaw for the invite ( hiding at the back of the picture below in the spotted dress). As always I did take some pictures of the other lovely bloggers in attendance. Please click on the links below to check out their blogs. Sammee - I Want To Read That! Fab write up - it sounds like it was an amazing event! Great write up, sounds like you all had a great time. This one was much better than the other one I had. Especially of Hayley,who was stuffing her face with cake! My, we are mixing with some wonderful authors. Having won This Is Not Forgiveness on your blog (thanks again for that) I can testify as to what a great read it is. I'm hoping to review it the back end of this week if you are interested in my thoughts on it. I will be! If I can get on your blog. I tried today and it would let me access your post. What a fun event! It's always interesting to learn what inspires authors. It helps me with my writing. Never trust a blogger with a camera! I am looking at all the yummy stuff you got to eat, yum! It was lovely to meet you all, too, and you certainly were handy with the camera - great record of the day. The cakes were excellent!